New for spring 2017, we’ve introduced a sporty women’s style called Move which incorporates our new Cushion Active Underfoot Comfort System. 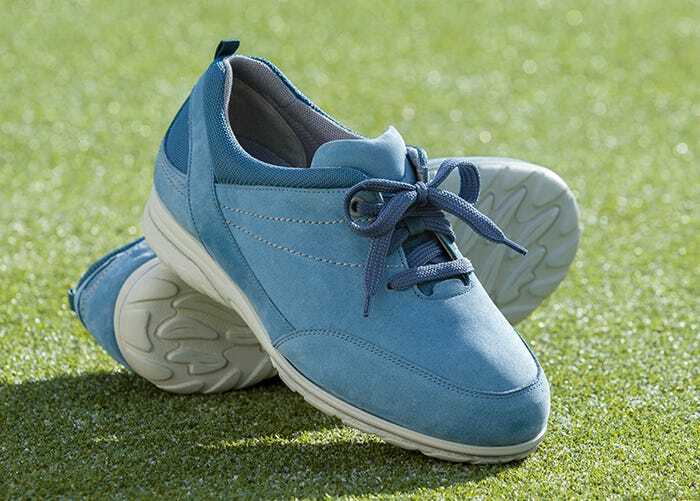 The special footbed offers you greater shock-absorption and cushioning than comparable comfort shoes or trainers and protects your knee and ankle joints when you’re on the go. Move has a super-flexible sole which moves with your foot for maximum comfort. It also has a deep, seam-free toe box that provides excellent protection for sensitive toes. The soft, padded collar fits both swollen and slimmer ankles. Move is priced at £69.00 (or £57.50 if you qualify for VAT relief due to a chronic medical condition). It comes in sizes 3 to 9 including half sizes and is available in Dove Grey, Jeans Blue or Navy.